The Galleries at the Historic Thomas Center are pleased to announce the opening of iNTIMATE STATES – Works on paper by Eduardo Sarmiento, which will run Friday, Jan. 25 – Saturday, May 4, 2019. An opening reception and opportunity to meet the artist will take place Friday, Jan. 25 from 7–9 p.m. during Artwalk Gainesville. Curated by Anne E. Gilroy, iNTIMATE STATES brings this contemporary artist’s work to Gainesville for the first time. 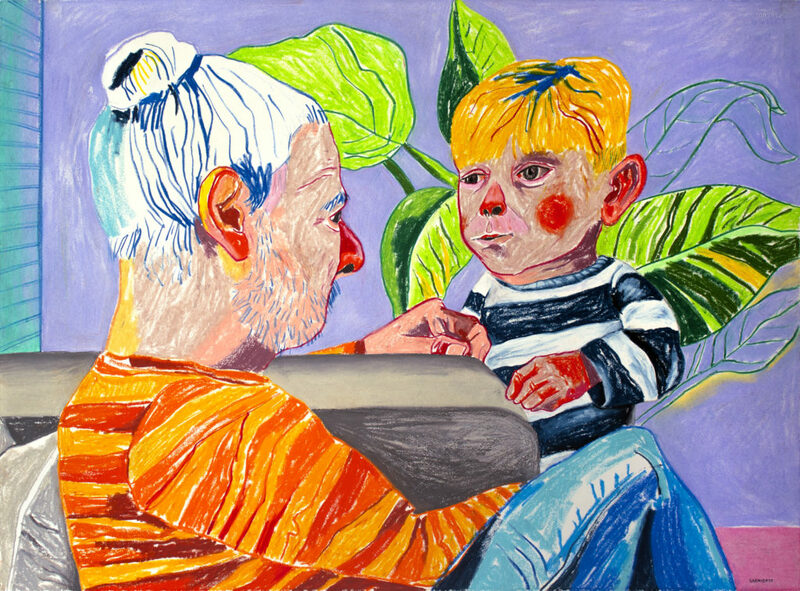 In over two dozen powerful drawings, Sarmiento allows us to witness his potent connections to family and friends. Neither idealized nor forgiving, the portraits deliver tenderness without sentimentality. Wry self-portraits function as a glimpse into both the artist’s character and his self-awareness as the observer. Sarmiento unabashedly offers himself up to the viewer in this raw visual consideration of intimate relationships. iNTIMATE STATES, will be held in concert with Bulla Cubana. Bulla Cubana is a city-wide celebration of arts and culture, promoting the exchange of ideas and inspiration between Cuba and the North Central Florida region. Eduardo Sarmiento was born in Cienfuegos, Cuba in 1980. This exhibit is held in concert with Bulla Cubana, a celebration of arts and culture promoting the exchange of ideas and inspiration between Cuba and North Central Florida. Bulla Cubana’s 2017 inaugural festival received the City of Gainesville’s Individual Arts Award. Taking place in cultural centers of Gainesville, including the Cade Museum for Creativity & Invention, the Harn Museum of Art, the Hippodrome Theatre, and more, Bulla Cubana showcases the talent of invited fine artists, muralists, dancers, musicians, chefs, photographers and filmmakers from March 9–24, 2019; please visit www.bullacubana.org for a complete schedule. Free. No experience or partner needed. Koji Hosaka of Salsa Mundial Gainesville. Dance Alive National Balletive National Ballet. 7:30 pm Artist talk by Eduardo Sarmiento. 8:30–10:30 pm Latin dancing to music by the Elio Piedra “Bringing The Fiesta to you” Trio. Free and open to the public. Food and beverage available for purchase.